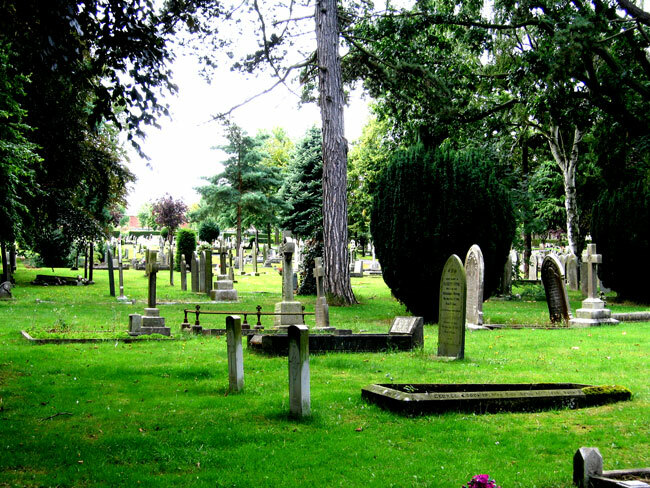 Bingham Cemetery, Nottinghamshire, contains 2 First World War burials and 1 burial from the Second World War. 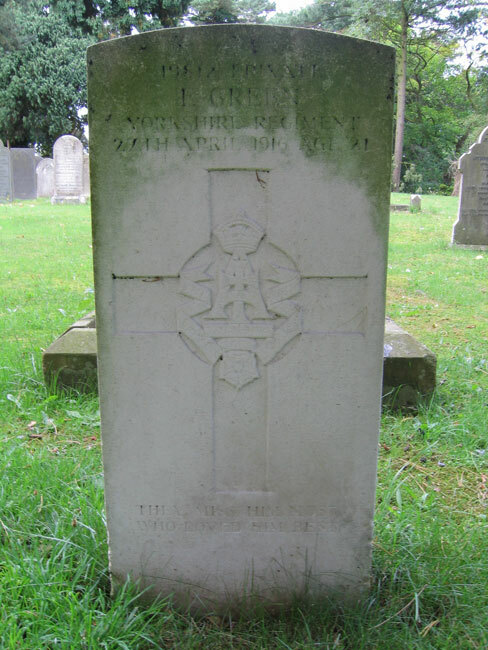 One of the First World War burials is of Private Frank Green of the Yorkshire Regiment. We are extremely grateful to Richard Roberts (<richard.nsw@googlemail.com>) who has forwarded the photograph of Frank Green's grave in this cemetery. Details of Frank Green, and a photograph of Bingham Cemetery are below this photo. Son of George and Eliza Green, of Needham St. Bingham. Died at home 27 April 1916. Aged 21. Born Saxondale (Notts), Enlisted Nottingham, Resided Bingham (Notts). Bingham Cemetery. Private Green's grave is the one nearest to the camera.